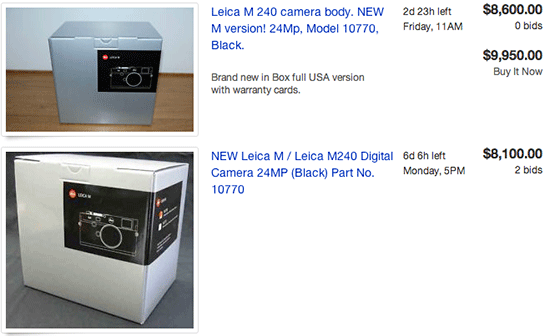 Two Leica M type 240 cameras are already listed on eBay. The first one is priced at $9,950.00 with zero bids, the second is currently at $8,100.00 with two bids (original price is $6,950.00). 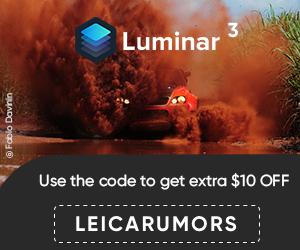 This entry was posted in Leica Auction Madness, Leica M. Bookmark the permalink. Trackbacks are closed, but you can post a comment.